Lenin Collected Works, Volume 13, pages 94-113. The volume of collected articles and pamphlets here offered to the reader covers, the period from 1895 through 1905. The theme of these writings is the programmatic, tactical, and organisational problems of the Russian Social-Democratic movement, problems which are being posed and dealt with all the time in the struggle against the Right wing of the Marxist trend in Russia. At first the struggle was fought on purely theoretical ground against Mr. Struve, the chief spokesman of our legal Marxism of the nineties. The close of 4894 and the beginning of 1895 saw an abrupt change in our legal press. Marxist views found their way into it for the first time, presented not only by leaders of the Emancipation of Labour group living abroad, but also by Social-Democrats in Russia. This literary revival and the heated controversy between the Marxists and the old Narodnik leaders, who (N. K. Mikhailovsky, for instance) had up till then held practically undivided sway in our progressive literature, were the prelude to an upswing in the mass labour movement in Russia. These literary activities of the Russian Marxists were the direct forerunners of active proletarian struggle, of the famous St. Petersburg strikes of 1896, which ushered in an era of steadily mounting workers’ movement—the most potent factor in the whole of our revolution. The Social-Democrats in those days wrote under conditions which compelled them to use Aesopian language. and confine themselves to the most general principles, which were farthest removed from practical activity and politics. This did much to unite the heterogenous elements of the Marxist movement in the fight against the Narodniks. Besides the Russian Social-Democrats abroad and at home this fight was waged also by men like Struve, Bulgakov, Tugan-Baranovsky, Berdyayev, and others. They were bourgeois democrats for whom the break with Narodism signified transition from petty-bourgeois (or peasant) socialism to bourgeois liberalism, and not to proletarian socialism as was the case with us. The history of the Russian revolution in general, the history of the Cadet Party in particular, and especially the evolution of Mr. Struve (to the verge of Octobrism) have now made this truth self-evident, made it current small coin for our publicists. But in 1894-95, this truth had to be demonstrated on the basis of relatively minor deviations by one or another writer from Marxism; at that time the coin had still to be minted. That. is why, in now print—ing the full text of my article against Mr. Struve (“The Economic Content of Narodism and the Criticism of It in Mr. Struve’s Book”, over the signature of K. Tulin in the symposium Material on the Question of the Economic Development of Russia, published in St. Petersburg in 1885 and destroyed by the censor ), I pursue a triple purpose. First, since the reading public is familiar with Mr. Struve’s book and the Narodnik articles of 1894-95 against the Marxists, it is important to give a criticism of Mr. Struve’s viewpoint. Secondly, in order to reply to repeated accusations of alliance with these gentry, and in order to appraise the very significant political career of Mr. Struve himself, it is important to cite the warning to Mr. Struve made by a revolutionary Social-Democrat simultaneously with our general statements against the Narodniks. Thirdly, the old, and in many respects outdated, polemic with Struve is important as an instructive example, one that shows the practical and political value of irreconcilable theoretical polemics Revolutionary Social-Democrats have been accused times without number of an excessive penchant for such polemics with the “Economists”, the Bernsteinians, and the Mensheviks. Today, too, these accusations are being bandied about by the “conciliators” inside the Social-Democratic Party and the “sympathising” semi-socialists outside it. An excessive penchant for polemics and splits, we are all too often told, is typical of the Russians in general, of the Social-Democrats in particular and of the Bolsheviks especially. But the fact is all too often overlooked that the excessive penchant for skipping from socialism to liberalism is engendered by the conditions prevailing in the capitalist countries in general, the conditions of the bourgeois revolution in Russia in particular, and the conditions of the life and work of our intellectuals especially. From that standpoint it is well worth taking a look at the events of ten years ago, the theoretical differences with “Struveism” which then began to take shape, and the minor (minor at first glance) divergencies that led to a complete political demarcation between the parties and to an irreconcilable struggle in parliament, in the press, at public meetings, etc. The article against Mr. Struve, I should add, is based on a paper I read in the autumn of 1894 to a small circle of Marxists of that time. The group of Social-Democrats then active in St. Petersburg, and who a year later founded the League of Struggle for the Emancipation of the Working Class, was represented in this circle by St., R., and myself. The legal Marxist writers were represented by P. B. Struve, A. N. Potresov, and K. The subject of my paper was “The Reflection of Marxism in Bourgeois Literature”. As will be seen from the title, the polemic with Struve here was incomparably sharper and more definite (in its Social-Democratic conclusions) than in the article published in the spring of 1895. The latter was toned down partly for censorship reasons and partly for the sake of an “alliance” with the legal Marxists for joint struggle against Narodism. That the “leftward jolt” which the St. Peters burg Social-Democrats then gave Mr. Struve has not remained altogether without result is clearly shown by Mr. Struve’s article in the police-destroyed symposium of 1895, and by several of his articles in Novoye Slovo (1897). Moreover, in reading the 1895 article against Mr. Struve it should be borne in mind that in many respects it is a synopsis of subsequent economic studies (notably The Development of Capitalism ). Lastly, I should draw the reader’s attention to the concluding pages of this article, which emphasise the positive (from the Marxist standpoint) features and aspects of Narodism as a revolutionary-democratic trend in a country that was on the threshold of bourgeois revolution. This was a theoretical formulation of the propositions which twelve or thirteen years later were to find their practical and political expression in the “Left bloc” at the elections to the Second Duma and in the “Left bloc” tactics. That section of the Mensheviks which opposed the idea of a revolutionary-democratic dictatorship of the proletariat and peasantry, maintaining that a Left bloc was absolutely impermissible, had on this issue gone back on the very old and very important tradition of the revolutionary Social-Democrats—a tradition vigorously up held by Zarya and the old Iskra. It stands to reason that the conditional and limited permissibility of “Left bloc” tactics follows inevitably from the same fundamental theoretical Marxist views on Narodism. The article against Struve (1894-95) is followed by The Tasks of the Russian Social-Democrats, written to wards the close of 1897 on the basis of the experience of Social-Democratic activities in St. Petersburg in 1895. It presents in a positive form the views which in other articles and pamphlets in this volume are expressed in the form of polemics with the Social-Democratic Right wing. The various prefaces to the Tasks are reprinted here in order to show the connection between these activities and the various periods of our Party’s development (for instance, Axelrod’s preface emphasises the pamphlet’s connection with the struggle against “Economism”, and the 1902 preface stresses the evolution of the Narodnaya Volya and Narodnoye Pravo members). The article “The Persecutors of the Zemstvo and the Hannibals of Liberalism” was published abroad in Zarya in 1901. It dissolves, so to speak, Social-Democratic association with Struve as a political leader. In 1895, we warned him and cautiously dissociated ourselves from him as an ally. In 1901, we declared war on him as a liberal who was incapable of championing even purely democratic demands with any consistency. In 1895, several years before the Bernsteinism in the West and before the complete break with Marxism on the part of quite a few “advanced” writers in Russia, I point ed out that Mr. Struve was an unreliable Marxist with whom Social-Democrats should have no truck. In 1901, several years before the Cadet Party emerged in the Russian revolution, and before the political fiasco of this party in the First and Second Dumas, I pointed out the very features of Russian bourgeois liberalism which were to be fully revealed in the mass political actions of 1905-07. The article “Hannibals of Liberalism” criticised the false reasoning of one liberal, but is now almost fully applicable to the policy of the biggest liberal party in our revolution. As for those who are inclined to believe that we Bolsheviks went back on the old Social-Democratic policy in regard to liberalism when we ruthlessly combated constitutional illusions and fought the Cadet Party in 1905-07—the article “Hannibals of Liberalism” will show them their mistake. The Bolsheviks remained true to the traditions of revolutionary Social-Democracy and did not succumb to the bourgeois intoxication to which the liberals gave their support during the “constitutional zig zag” and which temporarily misled the Right-wing members of our Party. The next pamphlet., What Is To Be Done?, was published abroad early in 1902. It is a criticism of the Right wing, which was no longer a literary trend but existed within the Social-Democratic organisation. The first Social-Democratic congress was held in 1898. It founded the Russian Social-Democratic Labour Party, represented by the Union of Russian Social-Democrats Abroad, which incorporated the Emancipation of Labour group. The central Party bodies, however, were suppressed by the police and could not be re-established. There was, in fact, no united party: unity was still only an idea, a directive. The infatuation with the strike movement and economic struggles gave rise to a peculiar form of Social-Democratic opportunism, known as “Economism”. When the Iskra group began to function abroad at the very end of 1900, the split over this issue was already an accomplished fact. In the spring of 1900, Plekhanov resigned from the Union of Russian Social-Democrats Abroad and set up an organisation of his own—Sotsial-Demokrat. Officially, Iskra began its work independently of the two groups, but for all practical purposes it sided with Plekhanov’s group against the Union. An attempt to merge the two (at the Congress of the Union and the Sotsial-Demokrat in Zurich, June 1901) failed. What Is To Be Done? gives a systematic account of the reasons for the divergence of views and of the nature of Iskra tactics and organisational activity. What Is To Be Done? is frequently mentioned by the Mensheviks, the present opponents of the Bolsheviks, as well as by writers belonging to the bourgeois-liberal camp (Cadets, Bezzaglavtsi in the newspaper Tovarishch, etc.). I have, therefore, decided to reprint the pamphlet here, slightly abridged, omitting only the details of organisational relations and minor polemical remarks. Concerning the essential content of this pamphlet it is necessary to draw the attention of the modern reader to the following. The basic mistake made by those who now criticise What Is To Be Done? is to treat the pamphlet apart from its connection with the concrete historical situation of a definite, and now long past, period in the development of our Party. This mistake was strikingly demonstrated, for instance, by Parvus (not to mention numerous Mensheviks), who, many years after the pamphlet appeared, wrote about its incorrect or exaggerated ideas on the subject of an organisation of professional revolutionaries. Today these statements look ridiculous, as if their authors want to dismiss a whole period in the development of our Party, to dismiss gains which, in their time, had to be fought for, but which have long ago been consolidated and have served their purpose. To maintain today that Iskra exaggerated (in 1901 and 19021) the idea of an organisation of professional revolutionaries, is like reproaching the Japanese, after the Russo-Japanese War, for having exaggerated the strength of Russia’s armed forces, for having prior to the war exaggerated the need to prepare for fighting these forces. To win victory the Japanese had to marshal all their forces against the probable maximum of Russian forces. Unfortunately, many of those who judge our Party are outsiders, who do not know the subject, who do not realise that today the idea of an organisation of professional revolutionaries has already scored a complete victory. That victory would have been impossible if this idea had not been pushed to the forefront at the time, if we had not “exaggerated” so as to drive it home to people who were trying to prevent it from being realised. What Is To Be Done? is a summary of Iskra tactics and Iskra organisational policy in 1901 an4 1902. Precisely a “summary”, no more and no less. That will be clear to anyone who takes the trouble to go through the file of Iskra for 1901 and 1902. But to pass judgement on that summary without knowing Iskra’s struggle against the then dominant trend of Economism, without understanding that struggle, is sheer idle talk. Iskra fought for an organisation of professional revolutionaries. It fought with especial vigour in 1901 and 1902, vanquished Economism, the then dominant trend, and finally created this organisation in 1903. It preserved it in face of the subsequent split in the Iskrist ranks and all the convulsions of the period of storm and stress; it preserved it throughout the Russian revolution; it preserved it intact from 1901-02 to 1907. And now, when the fight for this organisation has long been won, when the seed has ripened, and the harvest gathered, people come along and tell us: “You exaggerated the idea of an organisation of professional revolutionaries!” Is this not ridiculous? Take the whole pre-revolutionary period and the first two and a half years of the revolution (1905-07). Compare our Social-Democratic Party during this whole period with the other parties in respect of unity, organisation, and continuity of policy. You will have to admit that in this respect our Party is unquestionably superior to all the others—the Cadets, the Socialist-Revolutionaries, etc. Before the revolution it drew up a programme which was formally accepted by all Social-Democrats, and when changes were made in it there was no split over the programme. From 1903 to 1907 (formally from 1905 to 1906), the Social-Democratic Party, despite the split in its ranks, gave the public the fullest information on the inner-party situation (minutes of the Second General Congress, the Third Bolshevik, and the Fourth General, or Stockholm, congresses). Despite the split, the Social-Democratic Party earlier than any of the other parties was able to take ad vantage of the temporary spell of freedom to build a legal organisation with an ideal democratic structure, an electoral system, and representation at congresses according to the number of organised members. You will not find this, even today, either in the Socialist-Revolutionary or the Cadet parties, though the latter is practically legal, is the best organised bourgeois party, and has incomparably greater funds, scope for using the press, and opportunities for legal activities than our Party. And take the elections to the Second Duma, in which all parties participated—did they not clearly show the superior organisational unity of our Party and Duma group? The question arises, who accomplished, who brought into being this superior unity, solidarity, and stability of our Party? It was accomplished by the organisation of professional revolutionaries, to the building of which Iskra made the greatest contribution. Anyone who knows our Party’s history well, anyone who has had a hand in building the Party, has but to glance at the delegate list of any of the groups at, say, the London Congress, in order to he convinced of this and notice at once that it is a list of the old membership, the central core that had worked hardest of all to build up the Party and make it what it is. Basically, of course, their success was due to the fact that the working class, whose best representatives built the Social-Democratic Party, for objective economic reasons possesses a greater capacity for organisation than any other class in capitalist society. Without this condition an organisation of professional revolutionaries would be nothing more than a plaything, an adventure, a mere signboard. What Is To Be Done? repeatedly emphasises this, pointing out that the organisation it advocates has no meaning apart from its connection with the “genuine revolutionary class that is spontaneously rising to struggle”. But the objective maximum ability of the proletariat to unite in a class is realised through living people, and only through definite forms of organisation. In the historical conditions that prevailed in Russia in 1900-05, no organisation other than Iskra could have created the Social-Democratic Labour Party we now have. The professional revolutionary has played his part in the history of Russian proletarian socialism. No power on earth can now undo this work, which has outgrown the narrow framework of the “circles” of 1902-05. Nor can the significance of the gains already won be shaken by belated complaints that the militant tasks of the movement were exaggerated by those who at that time had to fight to ensure the correct way of accomplishing these tasks. I have just referred to the narrow framework of the circles of the old Iskra period (beginning with issue No. 51, at the close of 1903, Iskra turned to Menshevism, proclaiming that “a gulf separates the old and the new Iskra”—Trotsky’s words in a pamphlet approved by the Menshevik Iskra editors). This circle spirit has to be briefly explained to the present-day reader. The pamphlets What Is To Be Done? and One Step Forward, Two Steps Back published in this collection present to the reader a heated, at times bitter and destructive, controversy within the circles abroad. Undoubtedly, this struggle has many unattractive features. Undoubtedly, it is something that could only be possible in a young and immature workers’ movement in the country in question. Undoubtedly, the present leaders of the present workers’ movement in Russia will have to break with many of the circle traditions, forget and discard many of the trivial features of circle activity and circle squabbles, so as to concentrate on the tasks of Social-Democracy in the present period. Only the broadening of the Party by enlisting proletarian elements can, in conjunction with open mass activity, eradicate all the residue of the circle spirit which has been inherited from the past and is unsuited to our present tasks. And the transition to a democratically organised workers’ party, proclaimed by the Bolsheviks in Novaya Zhizn in November 1905, i.e., as soon as the conditions appeared for legal activity—this transition was virtually an irrevocable break with the old circle ways that had outlived their day. Yes, “that had had outlived their day”, for it is not enough to condemn the old circle spirit; its significance in the special circumstances of the past period must be understood. The circles were necessary in their day and played a positive role. In an autocratic state, especially in the situation created by the whole history of the Russian revolutionary movement, the socialist workers’ party could not develop except from these circles. And the circles, i.e., close-knit, exclusive groups uniting a very small number of people and nearly always based on personal friendship, were a necessary stage in the development of socialism and the workers’ movement in Russia. As the movement grew, it was confronted with the task of uniting these circles, forming strong links between them, and establishing continuity. This called for a firm base of operations “beyond the reach” of the autocracy—i.e., abroad. The circles abroad, therefore, came into being through necessity. There was no contact between them; they had no authority over them in the shape of the Party in Russia, and it was inevitable that they should differ in their understanding of the movement’s main tasks at the given stage, that is, an understanding of how exactly to set up a base of operations and in what way they could help to build the Party as a whole. A struggle between the circles was, therefore, inevitable. Today, in retrospect, we can clearly see which of the circles was really in a position to act as a base of operations. But at that time, when the various circles were just beginning their work, no one could say that and the controversy could be resolved only through struggle. Parvus, I remember, subsequently blamed the old Iskra for waging a destructive circle war and advocated after the event a conciliatory policy. That is an easy thing to say after the event, and to say it reveals a failure to understand the conditions then prevailing. For one thing, there was no criterion by which to judge the strength or importance of one or another circle. The importance of many of them, which are now forgotten, was exaggerated, but in their time they wanted through struggle to assert their right to existence. Secondly, the differences among the circles were over the direction the work was to take, work which at the time was new to them. I noted at the time (in What Is To Be Done?) that these seemingly minor differences were actually of immense importance, since at the beginning of this new work, at the beginning of the Social-Democratic movement, the definition of the general nature of the work and movement would very substantially affect propaganda, agitation, and organisation. All subsequent disputes between the Social-Democrats concerned the direction of the Party’s political activity on specific issues. But at that time the controversy was over the most general principles and the fundamental aims of all Social-Democratic policy generally. The circles played their part and are now, of course, obsolete. But they became obsolete only because the struggle that they waged posed the key problems of the Social-Democratic movement in the sharpest possible manner and solved them in an irreconcilable revolutionary spirit, thereby creating a firm basis for broad party activity. Of particular questions raised in the literary discussion over What Is To Be Done? I shall comment on only two. Writing in Iskra in 1904, soon after the appearance of One Step Forward, Two Steps Back, Plekhanov declared that he differed from me in principle on the question of spontaneity and political consciousness. I did not reply either to that declaration (except for a brief note in the Geneva newspaper Vperyod), or to the numerous repetitions of it in Menshevik literature. I did not reply because Plekhanov’s criticism was obviously mere cavilling, based on phrases torn out of context, on particular expressions which I had not quite adroitly or precisely formulated. Moreover, he ignored the general content and the whole spirit of my pamphlet What Is To Be Done? which appeared in March 1902. The draft Party programme (framed by Plekhanov and amended by the Iskra editors) appeared in June or July 1902. Its formulation of the relation between spontaneity and political consciousness was agreed upon by all the Iskra editors (my disputes with Plekhanov over the programme, which took place in the editorial board, were not on this point, but on the question of small production being ousted by large-scale production, concerning which I called for a more precise formula than Plekhanov’s, and on the difference in the standpoint of the proletariat or of the labouring classes generally; on this point I insisted on a narrower definition of the purely proletarian character of the Party). Consequently, there could be no question of any difference principle between the draft Party programme and What To Be Done? on this issue. At the Second Congress (August 1903) Martynov, who was then an Economist, challenged our views on spontaneity and political consciousness as set forth in the programme. He was opposed by all the Iskrists, as I emphasise in One Step Forward. Hence it is clear that the controversy was essentially between the Iskrists and the Economists, who attacked what was common both to What Is To Be Done? and the programme drafts. Nor at the Second Congress did I have any intention of elevating my own formulations, as given in What Is To Be Done?, to “programmatic” level, constituting special principles. On the contrary, the expression I used— and it has since been frequently quoted—was that the Economists had gone to one extreme. What Is To Be Done?, I said, straightens out what had been twisted by the Economists (cf. minutes of the Second R.S.D.L.P. Congress in 1903, Geneva, 1904). I emphasised that just because we were so vigorously straightening out whatever had been twisted our line of action would always be the straightest. The meaning of these words is clear enough: What Is To Be Done? is a controversial correction of Economist distortions and it would be wrong to regard the pamphlet in any other light. It should be added that Plekhanov’s article against the pamphlet was not reprinted in the new Iskra collection (Two Years), and for that reason I do not here deal with Plekhanov’s arguments, but merely explain the issue involved to the present-day reader, who may come across references to it in very many Menshevik publications. My second comment concerns the question of economic struggle and the trade. unions. My views on this subject have been frequently misrepresented in the literature, and I must, therefore, emphasise that many pages in What Is To Be Done? are devoted to explaining the immense importance of economic struggle and the trade unions. In particular, I advocated neutrality of the trade unions, and have not altered that view in the pamphlets or newspaper articles written since then, despite the numerous assertions by my opponents. Only the London R.S.D.L.P. Congress and the Stuttgart International Socialist Congress led me to conclude that trade-union neutrality is not defensible as a principle. The only correct principle is the closest possible alignment of the unions with the Party. Our policy must be to bring the unions closer to the Party and link them with it. That policy should be pursued perseveringly and persistently in all our propaganda, agitation, and organising activity, without trying to obtain mere “recognition” of our views and without expelling from the trade unions those of a different opinion. The pamphlet One Step Forward, Two Steps Back was published in Geneva in the summer of. 1904. It reviews the first stage of the split between the Mensheviks and the Bolsheviks, which began at the Second Congress (August 1903). I have cut this pamphlet down by half, since-minor details of the organisational struggle, especially points concerning the personal composition of the Party centres, cannot possibly be of any interest to the present-day reader and, in fact, are best forgotten. But what is important, I think, is the analysis of the controversy over tactical and other conceptions at the Second Congress, and the polemic with the Mensheviks on matters of organisation. Both are essential for an understanding of Menshevism and Bolshevism as trends which have left their mark upon all the activities of the workers’ party in our revolution. Of the discussions at the Second Congress of the Social-Democratic Party, I will mention the debate on the agrarian programme. Events have clearly demonstrated that our programme at the time (return of the cut-off lands) was much too limited and, underestimated the strength of the revolutionary-democratic peasant movement—I shall deal with this in greater detail in Volume 2 of the present publication. Here it is important to emphasise that even this excessively limited agrarian programme was at that time considered too broad by the Social-Democratic Right wing. Martynov and other Economists opposed it on the grounds that it went too far! This shows the great practical importance of the whole struggle that the old Iskra waged against. Economism, against attempts to narrow down and belittle the character of Social-Democratic policy. The direct connection of opportunism in organisational views with that in tactical views has been sufficiently demonstrated by the whole record of Menshevism in 1905-07. As for this “incomprehensible thing”, “opportunism in questions of organisation”, practical experience has borne out my appraisal more brilliantly than I could ever have expected. It suffices to say that even the Menshevik Cherevanin now has to admit (see his pamphlet on the London R.S.D.L.P. Congress of 1907) that Axelrod’s organisational plans (the much-talked-of “labour congress”, etc.) could only lead to splits that would ruin the proletarian cause. What is more, the same Cherevanin tells us in this pamphlet that in London Plekhanov had to con tend with “organisational anarchism” within the Menshevik faction. And so it was not for nothing that I fought “opportunism in questions of organisation” in 1904, seeing that in 1907 both Cherevanin and Plekhanov have had to recognise the “organisational anarchism” of influential Mensheviks. The last pamphlet included in this collection, Two Tactics of Social-Democracy in the Democratic Revolution, appeared in Geneva in the summer of 1905. It is a systematic statement of the fundamental tactical differences with the Mensheviks. These differences were fully formulated in the resolutions of the Third (spring) R.S.D.L.P. (Bolshevik) Congress in London and the Menshevik Conference in Geneva which established the basic divergence between the Bolshevik and Menshevik appraisals of our bourgeois revolution as a whole from the standpoint of the proletariat’s tasks. The Bolsheviks claimed for the proletariat the role of leader in the democratic revolution. The Mensheviks reduced its role to that of an “extreme opposition”. The Bolsheviks gave a positive definition of the class character and class, significance of the revolution, maintaining that a victorious revolution implied a “revolutionary-democratic dictatorship of the proletariat and the peasantry”. The Mensheviks always interpreted the bourgeois revolution so incorrectly as to result in their acceptance of a position in which the role of the proletariat would be subordinate to and dependent on the bourgeoisie. How these differences of principle were reflected in practical activities is well known. The Bolsheviks boycotted the Bulygin Duma: the Mensheviks vacillated. The Bolsheviks boycotted the Witte Duma; the Mensheviks vacillated, appealing to the people to vote, but not for the Duma, The Mensheviks supported a Cadet Ministry and Cadet policy in the First Duma, while the Bolsheviks, parallel with propaganda in favour of an “executive committee of the Left”, resolutely exposed constitutional illusions and Cadet counter-revolutionism. Further, the Bolsheviks worked for a Left bloc in the Second Duma elections, while the Mensheviks called for a bloc with the Cadets, and so on and so forth. Now it seems that the “Cadet period” in the Russian revolution (the expression is from the pamphlet The Victory of the Cadets and the Tasks of the Workers’ Party, March 1906) has come to an end. The counter-revolutionary nature of the Cadets has been fully exposed. The Cadets themselves are beginning to admit that they had been combating the revolution all along, and Mr. Struve frankly reveals the inner thoughts of Cadet liberalism. The more attentively the class-conscious proletariat now looks back on this Cadet period, on the whole of this “constitutional zigzag”, the more clearly will it see that the Bolsheviks correctly appraised beforehand both this period and the essence of the Cadet Party, and that the Mensheviks were in fact pursuing a wrong policy, one that, objectively, was tantamount to throwing over independent proletarian policy in favour of subordinating the proletariat to bourgeois liberalism. In casting a retrospective glance at the struggle of the two trends in Russian Marxism and Social-Democracy during the last twelve years (1895-1907), one cannot avoid the conclusion that “legal Marxism”, “Economism”, and “Menshevism” are diverse forms of one and the, same historical tendency. The “legal Marxism” of Mr. Struve (1894) and those like him was a reflection of Marxism in bourgeois literature. “Economism”, as a distinct trend in Social-Democratic activities in 1897 and subsequent years, virtually implemented the programme set forth in the bourgeois liberal “Credo”: economic struggle for the workers, political struggle for the liberals. Menshevism is not only a literary trend, not only a tendency in Social-Democratic activity, but a close-knit faction, which during the first period of the Russian revolution (1905-07) pursued its own distinct policy—a policy which in practice subordinated the proletariat to bourgeois liberalism. In all capitalist countries the proletariat is inevitably connected by a thousand transitional links with its neighbour on the right, the petty bourgeoisie. In all workers’ parties there inevitably emerges a more or less clearly delineated Right wing which, in its views, tactics, and organisational “line”, reflects the opportunist tendencies of the petty bourgeoisie. In such a petty-bourgeois country as Russia, in the era of bourgeois revolution, in the formative period of the young Social-Democratic Labour Party, these tendencies were bound to manifest themselves much more sharply, definitely, and clearly than anywhere else in Europe. Familiarity with the various forms in which this tendency is displayed in the Russian Social-Democratic movement in different periods of its development is necessary in order to strengthen revolutionary Marxism. and steel the Russian working class in its struggle for emancipation. See present edition, Vol. 1, pp. 333-507.—Ed. See present edition, Vol. 3, pp. 21-632.—Ed. See present edition, Vol. 2, pp. 321-51.—Ed. See present edition, Vol. 5, pp 347-529.—Ed. See present edition, Vol. 7, pp. 203-425.—Ed. See present edition, Vol. 10, pp. 29-39.—Ed. See present edition, Vol. 8, p. 245.—Ed. See present edition, Vol. 6, p. 491.—Ed. See pp. 256-58 of this volume.—Ed. See present edition, Vol. 7, pp. 497-518.—Ed. See present edition, Vol. 8, pp. 29-34.—Ed. See present edition, Vol. 10, pp. 499-276.—Ed. In 1907, the Zerno Book Publishers, directed by M. S. Kedrov, decided to bring out a three-volume collection of Lenin’s works under the general title Twelve Years. The original contract for this publication is in the Central Party Archive of the Institute of Marxism-Leninism under the Central Committee of the Communist Party of the Soviet Union. Only the first volume and part one of the second appeared. The first volume contained: The Economic Content of Narodism and the Criticism of it in Mr. Struve’s Book; The Tasks of the Russian Social-Democrats; The Persecutors of the Zemstvo and the Hannibals of Liberalism; What is To Be Done? ; One Step Forward, Two Steps Back; The Zemstvo Campaign and Iskra’s Plan; Two Tactics of Social-Democracy in the Democratic Revolution. The first volume came off the press in November 1907 (the cover gives the date 1908) and was confiscated soon after its appearance, but a large part of the edition was saved; the book continued to circulate illegally. Volume II was to contain Lenin’s writings on the agrarian question. Owing to persecution by the censorship it was decided to drop the title Twelve Years and to issue the second volume in two parts: part one to contain the legal works published in 1899 in the symposium Economic Studies and Essays; part two the illegal works. Lenin included in the second volume his book The Agrarian Programme of Social-Democracy in the First Russian Revolution, 1905-1907, which he had just completed. This plan of publication, however, was not realised. Only the first part of Volume II under the title The Agrarian Question came out in the beginning of 1908, containing the following writings: A Characterisation of Economic Romanticism; The Handicraft Census of 1894-95 in Perm Gubernia and General Problems of “Handicraft” Industry, and The Agrarian Question and the “Critics of Marx” (Chapters I-XI). Part two of the second volume, for which The Agrarian Programme of Social-Democracy in the First Russian Revolution, 1905-1907 had been set up, was confiscated by the police in the printing-press and destroyed. Volume III was to contain programmatic and polemical articles which had appeared in the Bolshevik press (Iskra, Vperyod, Proletary, Novaya Zhizn, and others). The intensification of repression and censorship persecution against revolutionary literature prevented the publication of the third volume. The Emancipation of Labour group—the first Russian Marxist group founded by G. V. Plekhanov in Switzerland in 1883. Other members of the group were P. B. Axelrod, L. G. Deutsch, Vera Zasulich, and V. N. Ignatov. The Emancipation of Labour group did a great deal for the propaganda of Marxism in Russia. It translated into Russian, published abroad, and distributed in Russia Marx’s and Engels’s Manifesto of the Communist Party, Marx’s Wage-Labour and Capital, Engels’s Socialism: Utopian and Scientific, and other works by the founders of Marxism, and also popularised Marxism in its own publications. Their work dealt a severe blow to Narodism, which was the chief ideological obstacle to the spread of Marxism and the development of the Social-Democratic movement in Russia. In his Socialism and the Political Struggle (1883), Our Differences (1885), and other writings, Plekhanov criticised the reactionary views of the Narodniks from the Marxist standpoint (their views concerning the non-capitalist path of Russia’s development, denial of the leading role of the proletariat in the revolutionary movement, their subjective-idealistic view on the role of the individual in history, etc.). Plekhanov’s two drafts of a programme for Russian Social-Democrats (1883 and 1885) published by the Emancipation of Labour group were an important step towards the building of a Social-Democratic Party in Russia. Plekhanov’s hook The Development of the Monist View of History (1895) “served to rear a whole generation of Russian Marxists” (Lenin, see present edition, Vol. 16, “The Vperyod Faction”). It played a very important role in spreading Marxist views and stating the case for dialectical and historical materialism. The group published and distributed in Russia four volumes of the symposium Sotsial-Demokrat, as well as a series of popular pamphlets for the workers. Engels welcomed the appearance of the Emancipation of Labour group “which sincerely and without reservations accepted the great economic and historical theories of Marx” (Karl Marx, Friedrich Engels, Ausgewählte Briefe, Berlin, Dietz Verlag, 1953, S. 453). Plekhanov and Vera Zasulich were personal friends of Engels and corresponded with him for many years. The group established contacts with the international labour movement, and, be ginning with the First Congress of the Second International (Paris, 1889) and throughout the whole period of its existence, it represented Russian Social-Democracy at all congresses of the International. The group played an important p art in developing revolutionary consciousness of the Russian working class, although the group had no practical ties with the workers’ movement in Russia. Lenin pointed out that the group “only laid the theoretical foundations for the Social-Democratic movement and took the first step towards the working-class movement” (see present edition, Vol. 20, “The Ideological Struggle in the Working-Class Movement”). Moreover, the members of the group were guilty of serious errors. They over estimated the role of the liberal bourgeoisie and underestimated the revolutionary role of the peasantry as a reserve force of the proletarian revolution. These errors contained the germ of the future Menshevik views adopted by Plekhanov and other members of the group. On the initiative of the group, the Union of Russian Social-Democrats Abroad was founded in 1894. The members of the group with drew from the Union in 1900 and founded the revolutionary organisation Sotsial-Demokrat. Members of the group on the editorial boards of Iskra and Zarya were Plekhanov, Axelrod, and Vera Zasulich. The Emancipation of Labour group announced its dissolution at the Second Congress of the R.S.D.L.P. in August 1903. St. is V. V. Starkov, R. is S. I. Radchenko, K. is R. E. Klasson. Novoye Slovo (New Word)—a monthly scientific, literary, and political magazine, published by liberal Narodniks in St. Petersburg from 1894, and by the “legal Marxists” from the spring of 1897. It published two articles by Lenin, “A Characterisation of Economic Romanticism” and “About a Certain Newspaper Article”. The magazine was closed down by the tsarist authorities in December 1897. Zarya (Dawn)—a Marxist theoretical and political magazine published by the editors of Iskra in 1901-02. The following articles by Lenin were published in it: “Casual Notes”, “The Persecutors of the Zemstvo and the Hannibals of Liberalism”, the first four chapters of The Agrarian Question and the “Critics of Marx” (under the title of “The ‘Critics’ on the Agrarian Question”), “Review of Home Affairs”, and “The Agrarian Programme of Russian Social-Democracy”. Four issues of the magazine appeared. Iskra (The Spark)—the first all-Russian illegal Marxist newspaper, founded by Lenin in 1900. After the Second Congress of the R.S.D.L.P. it became the Central Organ of the Party. Lenin’s reference to the old Iskra applies to issues No. 1 to No. 51 of the paper. After that Iskra became the factional organ of the Mensheviks. The Narodnaya Volya (People’s Will) group, whose members were known as Narodovoltsi, came into existence in St. Petersburg in the autumn of 1891. Among its original membership were M.S. Olminsky (Alexandrov) N.L. Meshcheryakov, Y. M. Alexandrova, A.A. Fedulov, and A.A. Yergin. The group adhered to the Narodnaya Volya programme. Its press issued a number of illegal pamphlets and leaflets, Worker’s Miscellany, and two issues of Letuchy Listok (The Leaflet). The group was suppressed by the police in April 1894 but shortly resumed its activities. At that period it was in process of abandoning Narodnaya Volya views for Social-Democracy. The last issue of Letuchy Listok, No. 4, which appeared in December 1895, showed clear signs of Social-Democratic influence. The group established contact with the St. Petersburg League of Struggle for the Emancipation of the Working Class, printed several of the League’s publications (for example, Lenin’s Explanation of the Law on Fines Imposed on Factory Workers), and made arrangements with the League for the joint publication of the newspaper Rabocheye Dyelo. Arrangements were also made to use the group’s press to print Lenin’s pamphlet On Strikes, which was smuggled out of prison in May 1896 (the manuscript is still missing). This plan did not mature, however, owing to the discovery and suppression of the printing-press by the police and the arrest of members of the group in June 1896, after which the group went out of existence. Eventually some of its members (P.F. Kudelli, N.L. Meshcheryakov, M.S. Olminsky, and others) became active figures in the R.S.D.L.P., the majority, however, joining the Socialist-Revolutionary Party. The Narodnoye Pravo (People’s Right) group, whose members were known as Narodopravtsi, was an illegal organisation of Russian democratic Intellectuals founded in the summer of 1893 by the former Narodovoltsi 0.V. Aptekman, A.I. Bogdanovich, A.V. Gedeonovsky, M.A. Natanson, N.S. Tyutchev, and others. The Narodopravtsi made it their aim to unite all opposition forces for the fight to win political reforms. The organisation issued two programmatic documents—“The Manifesto” and “An Urgent Issue”. It was suppressed by the tsarist authorities in spring of 1894. For Lenin’s assessment of the Narodnoye Pravo as a political party see What the “Friends of the People” Are and How They Fight the Social-Democrats (present edition, Vol. 1, pp. 320-32) and The Tasks of the Russian Social-Democrats (present edition, Vol. 2, pp. 344-45). Most of the Narodopravtsi subsequently joined the Socialist-Revolutionary Party. Bernsteinism—an opportunist trend in German and international Social-Democracy hostile to Marxism. It arose in the late nineteenth century and received its name from Eduard Bernstein, who was the most outspoken representative of the Right opportunist trend in the German Social-Democratic Party. Bezzaglavtsi—members of a semi-Cadet, semi-Menshevik, group of Russian intellectuals (S.N. Prokopovich, Y.D. Kuskova, V.Y. Bogucharsky, V.V. Portugalov, V.V. Khizhnyakov, and others), which came into being when the revolution of 1905-07 was beginning to decline. The group’s name was derived from the weekly political periodical Bez Zaglaviya (literally Without a Title) issued in St. Petersburg in January-May 1906 under the editorship of Prokopovich. Later the Bezzaglavtsi grouped themselves around the Left-wing Cadet newspaper Tovarishch. Under the cloak of formal non-partisanship they advocated the ideas of bourgeois liberalism and opportunism and supported the revisionists in Russian and international Social-Democracy. “Volume 3 of this publication”— meaning the third volume of the collection Twelve Years, which was never published. Novaya Zhizn (New Life)—the first legal Bolshevik newspaper, published in St. Petersburg as a daily from October 27 (November 9) to December 3 (16), 1905. Lenin took over the editorship upon his return to Russia in early November. Novaya Zhizn was in fact the Central Organ of the R.S.D.L.P. Closely associated with the paper were V. D. Bonch-Bruyevich, V. V. Vorovsky, A. V. Lunacharsky, M. S. Olminsky, and others. Maxim Gorky actively collaborated and gave the paper great financial aid. The circulation reached 80,000 copies. The newspaper was constantly persecuted. Of the twenty-seven issues, fifteen were confiscated. Following the appearance of issue No. 27 the taper was closed down by the government. The last issue, No. 2 , came out illegally. Vperyod (Forward)—an illegal Bolshevik weekly, published in Geneva from December 22, 1904 (January 4,1905) to May 5 (18), 1905. Eighteen numbers were issued. 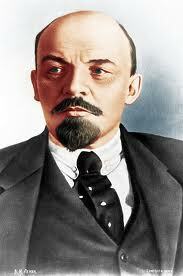 The newspaper’s organiser, manager, and ideological guide was Lenin. Other members of the Editorial Board were V.V. Vorovsky, A.V. Lunacharsky, and M. S. Olminsky. The outstanding role which the newspaper played in combating Menshevism, re-establishing the Party principle, and formulating and elucidating the tactical issues posed by the rising revolution was acknowledged in a special resolution of the Third Party Congress, which recorded a vote of thanks to the Editorial Board. Cut-off lands (otrezki)—lands which were taken away (cut off) from the peasants by the landlords when serfdom was abolished in Russia. Zemstvo—so-called local self-government bodies headed by the nobility. Zemstvos were set up in the central gubernias of Russia in 1864. Their powers were restricted to purely local economic affairs (hospitals, roads, statistics, insurance, etc.). They were subordinate to the provincial governors and the Ministry of the Interior, who could overrule any decisions the government found undesirable. Executive Committee of the Left—the slogan for the formation of such a committee was put forward by the Bolsheviks in order to ensure the independence of the class line pursued by the workers’ deputies in the Duma,to guide the activities of the peasant deputies, and keep them free from the influence of the Cadets. The Mensheviks countered this slogan with their slogan of “a national opposition”, that is, support of the Cadets by the workers’ and peasants’ deputies, the Mensheviks classing the Cadets as a Left party, along with the Social-Democrats, Socialist-Revolutionaries, and Trudoviks. In July 1906, after the First Duma was dissolved, the Executive Committee of the Left virtually organised itself around the Social-Democratic group of the Duma. On the initiative of the Executive Committee of the Left the following manifestoes were issued: “Manifesto to the Army and Navy” over the signatures of the Committee of the Social-Democratic Duma group and the Committee of the Trudovik group; “Manifesto to All the Russian Peasants” signed also by the A11-Russian Peasant Union, the C.C. of the R.S.D.L.P., the C.C. of the Party of the Socialist-Revolutionaries, the All-Russian Railwaymen’s Union, and the All-Russian Teachers’ Union; “Manifesto to All the People” signed by the above parties (without the three unions) as well as by the Polish Socialist Party and the Bund. The manifestoes rallied the people to the revolutionary struggle against the government and put forward the slogan of a constituent assembly.